C&R Dental Care always appreciates feedback from our valued patients. To date, we’re thrilled to have collected 49 reviews with an average rating of 4.9 out of 5 stars. 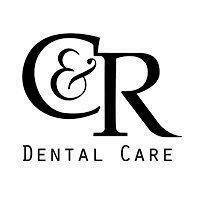 Please read what others are saying about C&R Dental Care below, and as always, we would love to collect your feedback. Found problem. Fixed. Explained. Happy with service. Had a great appoint and took me in right away. Great experience as always! Dr Cha and his assistant carefully explains everything to the point where you feel like the expert yourself. Today’s visit was totally painless. I get tense in general going to the dentist because I have lots of work to be done. I have never felt more at ease in a dentist’s office since I was a child. Everyone is extremely professional, kind and reassuring. I had a great visit today with Dr. Cha, (Dr. Ji is wonderful, too,) Sandra, Natalia, Lydia and Kristina. Much thanks to all of them. I am extremely happy with my smile now thank you so much! My visit was extremely informative, painless and quick! Everyone was so kind! You can tell everyone here actually care for their patients! Nice staff, very detail oriented.